[vc_row padding_setting=”1″ desktop_padding=”no-padding-tb” ipad_padding=”sm-no-padding-top” mobile_padding=”xs-no-padding-top”][vc_column padding_setting=”1″ desktop_padding=”no-padding-tb”][vc_single_image image=”34147″ img_size=”full”][vc_column_text]Camp out at Monstro Camp Colorado, the infrequent and audacious campout of the Monster Rangers. Participate in song, story, and ceremony – and celebrate the Monsters with our community of kind, quirky folks. PDF here < Download and print out! 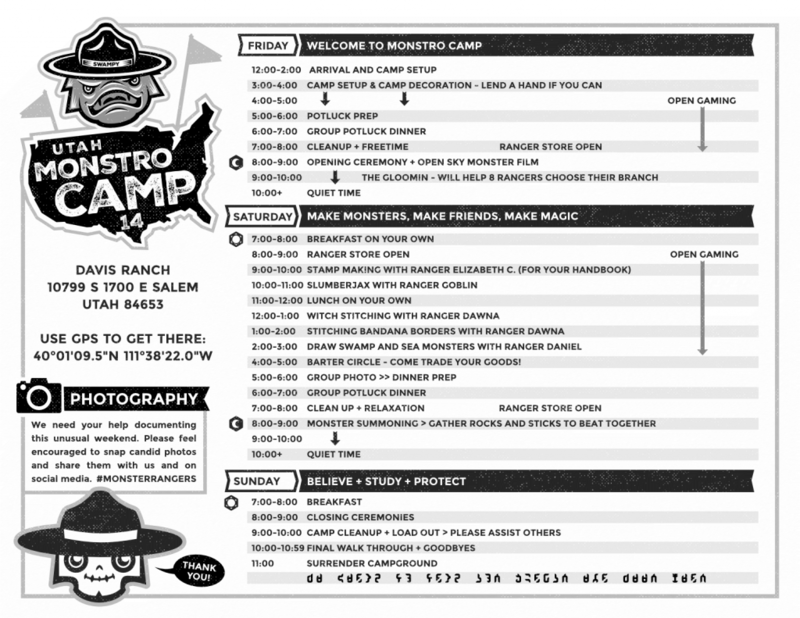 Additional Monstro Camp badges will be available on site, while supplies last! Reserve your camp before they sell out! Release Form <- Please fill out! Required! Potluck Spreadsheet – so we all don’t bring the same thing. Fill it out! Daniel has a lifelong fascination with Monsters, Halloween, illustration, pen & paper rpgs, collecting miniatures, watching movies, and listening to and playing music. He's been a graphic designer since 1994; Monster Rangers is a culmination of all of his personal projects in one. He lives in Arizona with Dawna and Goblin, and runs the Steam Crow.